The end of the second season of League of Legends was simply stellar with the Taipai Assassins taking home the world championship by defeating Azubu Frost. 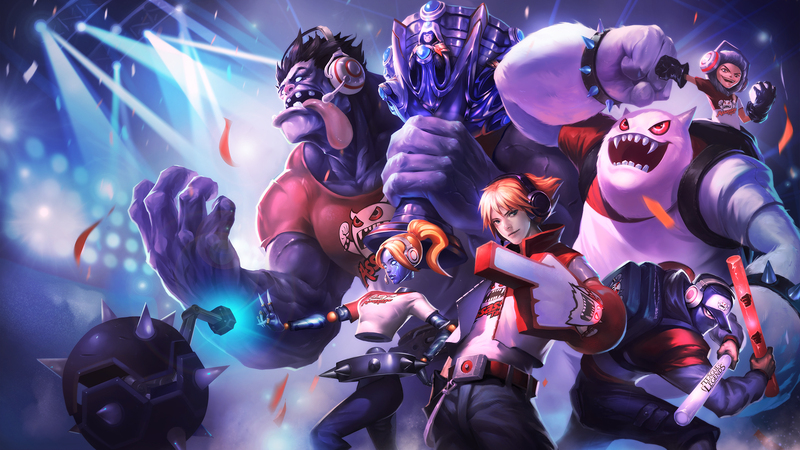 To celebrate, the team of five has been working with Riot Games on champion skins for the five champions which they donned for the final match: Mundo, Nunu, Ezreal, Shen, and Orianna. Each will tout Taipai gear and colors, even the championship cup is making an appearance as Mundo will be throwing it at your face. These will be released during the first inaugural LCS All-Star break which runs from May 24-26. There has been no word as of yet as to whether or not these are only available for a limited time, so if you’re interested in picking them up, I’d start saving up the RP for the skins or IP for these League of Legends champions right now!